Out-of Print books available from Haviland Online- -"Grandmother's Haviland" and "Haviland Collectables & Objects of Art" plus Foreign Haviland books available upon request such as d'Albis, Sandoz, etc. Help support this site by ordering Haviland books from this Page- Thanks! The Ranson Blank of Haviland Co. France, An Identification Guide,2nd edition - By Haviland Collectors Internationale Foundation $14 plus shipping It has almost all of the pictures of the Ranson Pattern Pictured - helps to identify what things are, including all those cups! 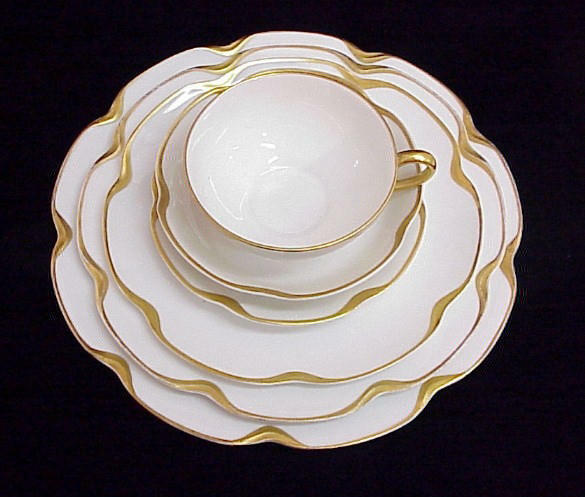 - Matching Services Booklet for Haviland China by Charles & Carol Ulrey, Unique Antiques. Cost is $4.00. 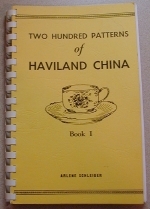 Lists Haviland books (in and out-of-print) as well as dealers by State who help Match your pattern.